Have we learned, yet, that when a company advertises something as good for your health, such as cereal that improves one's immunity, it's probably actually the opposite? Sadly, this same rule holds true in this case, too. Since their shop was now open, they were offering samples of one their smoothies to get people interested, so we tried some. The sample was a "blueberry muffin smoothie" which actually did taste very, very much like a blueberry muffin. That should really tell you something right there - if it tastes too good to be true, it probably is. Having tried their samples, my friends and I kept walking and I made it a goal to check out their products online. 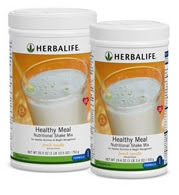 Isolated soy protein, fructose, corn bran fiber, powdered cellulose, artificial French vanilla flavor, guar gum, potassium chloride, calcim caseinate, casein, dicalcium phosphate, rice fiber, soy lecithin, canola oil, carrageenan, medium chain triglycerides, dl-methionine, fructooligosaccharides***, magnesium oxide, silicon dioxide, licorice extract, natural vanilla flavor, bacterially-derived patented proteases (from Aminogen (R)T), citrus pectin, psyllium husk, honey powder, ginger root, ascorbic acid, vitamin E acetate, licorice root, hawthorne berry, gotu kola, dandelion root, biotin, parsely, papaya, ferrous fumarate, niacinamide, zinc oxide, sodium selenite, copper gluconate, vitamin A palmitate, calcium pantothenate, papain, bromelain, pyridoxine hydrochloride, riboflavin, thiamin mononitrate, cholecalciferol (vitamin D), cyanocobalamin, folic acid, chromium amino acid chelate, chromium aspartate, sodium molybdate, and chromium nicotinate. Aminogen(R) is a registered trademark of Triarco Industries, Inc.
*** Fructooligosaccharides (FOS) are known as prebiotics and help the growth of positive flora. After all that, if you want the short version of my analysis, I can say I will never buy anything from City Blendz and do not recommend it to anyone else. First of all, the main ingredient is soy. While soy is often touted and believed to be a health food, and although it does have a small pro-heart-health aspect to it, soy is overwhelmingly unhealthy for your body. No one should be eating it unless in moderate amounts of fermented versions. Please see the Whole Soy Story by Kaayla Daniel or check out the wide variety of books about it on Amazon. The second ingredient is sugar, which incidentally occurs several times in the list (honey powder and fructooligosaccharides (an artificial sugar) for example), and this is an ANTI-HEALTH ingredient, as anyone should know. It contains artificial flavor; everything artificial should be on everyone's "foods-to-avoid" list. Artificial ingredients are proven allergens (which mean your body rejects them). For more information please read The Unhealthy Truth by Robyn O'Brien. It has canola oil - this oil is unhealthy despite what its proponents want you to believe. For example, by the time it is finished processing, it is already rancid and has been bleached and deodorized so you won't be able to tell. The Weston A Price foundation has more to say about canola oil. There are all sorts of synthetic vitamins added to this list; ascorbic acid as fake vitamin C, cyanocobalamin (a bad form of vitamin B; it does not appear in nature but is a form of B12 that is created in the presence of a reagent containing cyanide. ), etc. It contains chromium asparate, which is a cheap delivery vehicle for chromium; it "conveniently" contains aspartic acid which is an excitotoxin (it kills your cells and thus tricks you into thinking it tastes better than it really does). Think MSG. There are a number of things even I don't instinctively recognize, and to this I would just remind everyone that if you can't pronounce something, or if you don't recognize something as a food, then it doesn't belong in your body. Sure, you may make some mistakes and not eat something that wouldn't hurt you, but you are much, much better off safe than sorry when it comes to ingredient lists. The girl who offered us the samples seemed to honestly believe that what she was giving out was good for one's health and in fact mentioned that there is in fact no added sugar in the smoothies. This just goes to show that people working for restaurants typically know nothing about what they're actually distributing; they don't consider that the ingredients that they use have ingredients themselves. So, in short, whether by design or by accident, we have yet another very typical fast food restaurant we get to walk by in downtown Minneapolis. Yet another example that people in general do not actually know what they're eating OR serving to others. Just one more thing to avoid on my list. Interesting analysis. I'm conflicted, because I'd love to promote and encourage commerce in the Minneapolis Skyway, but I also want to encourage good health. The sad fact is , that most Americans have an unwavering need and desire for sugar and other corn-based products that are obviously devoid of any nutrition. It's quite a lot to ask for entrepreneurs to consider the health of their patrons...not many do. Frankly, they're just giving us what we want, for better or worse. Good write up, thanks for your thoughts. Thanks for stopping by, Frypan! SIGH I'm conflicted, too. I dearly want some truly healthy and reasonable alternative to lunch and/or snacks downtown. It's a tough landscape out there, though. Even the salads at DBrian's or Panera Bread, for example, tend to be sweet (a lot of deli's add high fructose corn syrup to unexpected things). You're totally right: They're catering to people's wants, plain and simple. It would be great to find a retailer that truly educates their customers, even doing it in a way that would be interesting to them. But that would be a rare find, indeed. Incidentally, that's a great idea for an app you've got going there! Hope you come out with an Android version some time! I'll pass your site along to some of my iPhone friends around here. Another thing that is wrong with the ingredients, is that several are hidden names for MSG: Isolated soy protein, calcium caseinate, casein, carageenan. Why would a smoothie need MSG? I make smoothies at home all the time with huge amounts of flavor. I always seem to forget the various, obscure names for MSG that manufacturers put in...! While I definitely agree that knowledge is your friend when it comes to reading ingredient lists, if you don't recognize something, it IS usually just safer to PASS. Thanks for the reminder!